It is not enough to create a good television show, because even the best shows can fail due to awkward scheduling, inadequate promotion, or just plain bad luck. I wouldn’t have featured many of the failed series on this website if not for outside forces affecting the quality of a series and the opportunity of an audience to find gems that were otherwise hidden. Even the best laid plans become fouled up when the creative sides of the equation don’t quite mesh with the financial or promotional sides, and that’s exactly what happened to Captain Power and the Soldiers of the Future. Captain Power and the Soldiers of the Future takes place in the apocalyptic remnants of North America after a devastating war. 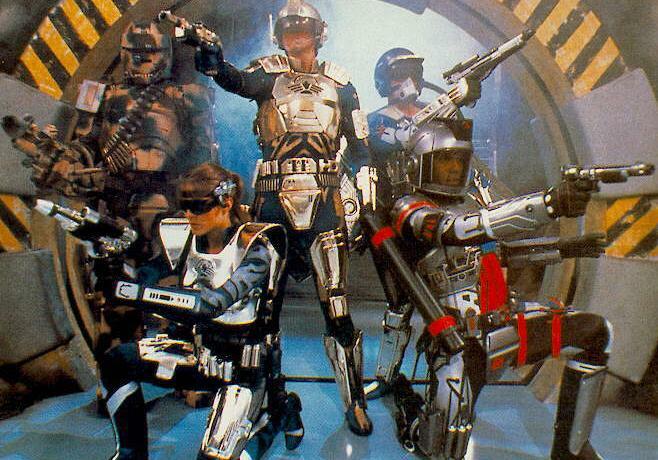 The year is 2147, and mankind has fought the Metal Wars against machines… and lost. The remnants of humanity have banded together into small resistance groups, one of which is led by Captain Jonathan Power (Tim Dunigan). He and his team continue to fight the evil Lord Dread (David Hemblen) and his mechanized army, utilizing “power suits” that enable their wearers to become armored fighters, capable of being on an equal footing with the enemy machines. 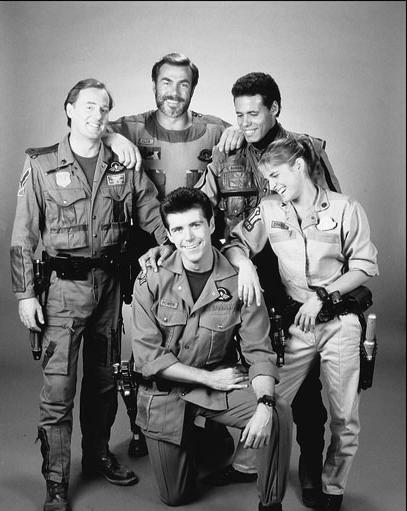 Power’s team includes Major Matthew “Hawk” Masterson (Peter MacNeill), whose specialized power suit gives him the ability to become a one-man aerial attack unit; Lieutenant Michael “Tank” Ellis (Sven-Ole Thorsen) who becomes their “ground and pound” assault member; Sergeant Robert “Scout” Baker (Maurice Dean Wint) with specialization in communications and espionage and a suit which can mimic some of the mechanical enemy; and Corporal Jennifer “Pilot” Chase (Jessica Steen) who can drive or fly almost any vehicle and is particularly adept at tactical systems. Together, they make up the Soldiers of the Future, dedicated to defeating the continued plans of Lord Dread. Yes, it sounds a bit like the show was designed to sell toys. While that might be a factually true statement, it doesn’t tell the whole story. Despite the rather simplistic sounding names of the characters and the series, there might just be a show in here somewhere… if only we could get past the whole “toy” idea…. Preparing for their transformation. Power ON! What kind of show did Goddard and his team make? One that was a far cry from just a sales platform for toys and action figures. The very first episode of Captain Power deals with a lost love of Jonathan’s, possible betrayal, and more than hints at possible jealousy and an intimate previous relationship for Power. Characters related as adults, in a world of devastation and occasional hopelessness. The good guys sometimes doubted their own effectiveness in the face of tremendous odds. Captain Power wasn’t afraid to journey into some very dark places. The lead bad guy turns out to be something quite different after all, and is ultimately brought down by the very machines he helped. Some characters hold secrets that could betray those who trust them. And one character is forced to decide whether to make the ultimate sacrifice for their side. This isn’t The Care Bears by any means…. While Captain Power may have been a success out of the gate, the series suffered from an obvious “mixed signals” message. Many of the local stations who bought the series believed they were getting a purely kiddie SF show, and scheduled it as such, especially with the associated toy and game blitz that Mattel had timed to release with the premiere. TV and magazine ads touted the “play-along” features of the series far and above the actual storylines or characterizations. The insistence upon rather basic naming conventions for the villain (Lord Dread, really?) and simplistic terms for the leads (Hawk, Pilot, Scout, etc.) made it very easy to assume that the target audience was the younger set. Of course, with storylines developed for adults in mind, there’s a dissonance here. Anyone over the age of 20 who hadn’t seen the episodes likely believed it was a kid’s show. Those who were lucky enough to discover there was more here than a TV infomercial for toys likely weren’t going to shout it from the rooftops anyway, just for fear of being ridiculed for watching “children’s” programming. Meanwhile, many SF allegories portrayed everything from the rise of the youth in the Nazi party in the late 1930’s to the devastation of a post-apocalyptic North America, ideas which flew completely over the heads of those little ones who were simply waiting for the action sequences in order to shoot their toys at the screen. 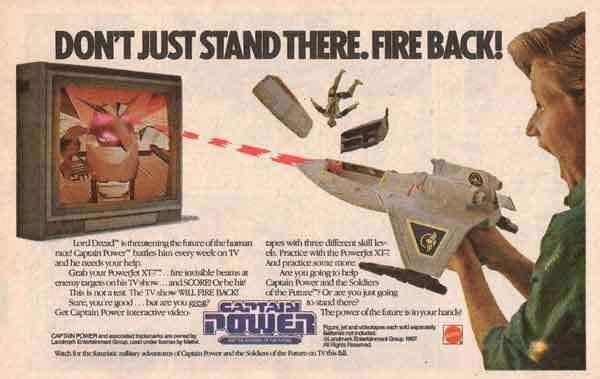 Captain Power, as a show, didn’t aim at a very clear target. Taken on its financial merits as a TV show, Captain Power had the earmarks of a syndication success. Broadcast in almost 100 US markets and 20 foreign ones, the Mattel corporation believed the show would help them sell a tremendous amount of playsets, action figures, and similar merchandise. Mattel thought so much of the concept that the company footed much of the bill for the first season’s worth of episodes. But a show sponsored by a toy company is a bit of a devil’s bargain…. 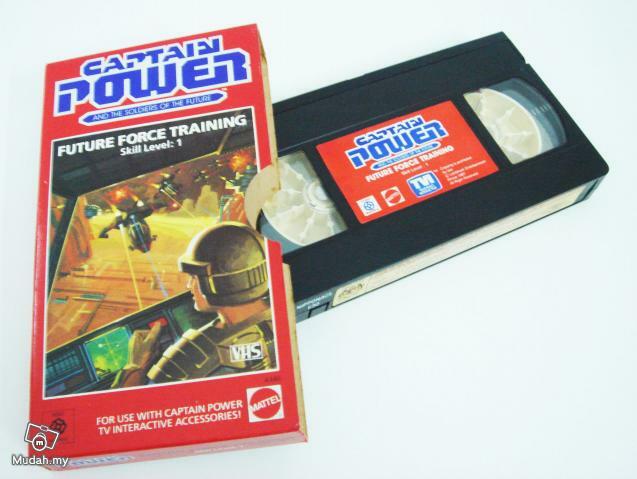 Captain Power toys would be the hit of the fall, using new “interactive” technology featured on the series. 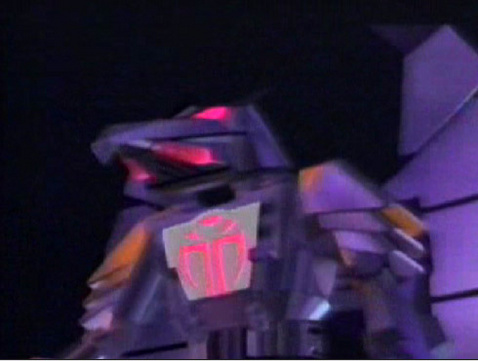 Various spaceship and “laser gun” toys Mattel sold could sense the special lighting used on the villains in episodes when they aired. The targeting system allowed viewers to play along, trying to shoot on-screen enemies. If you “hit” enough opponents, you’d hear an audible signal denoting your victory, while defeat meant, for example, the viewer’s action figure in the cockpit of the specially designed fighter ship would be ejected. And all of this is well and good, especially if you’re making some commercials or ads for your new toys. But when the toymaker is “footing the bill” for upwards of a million dollars an episode, they might insist on a bit more of the toy features at the cost of adult storylines. The problem becomes, when does the show stop and the selling begin? Making the show was a constant battle between those who wanted to create actual television drama and those who wanted to sell the show and its related merchandise. And, since the finances were primarily being paid for by Mattel, guess who won most of the battles? While Mattel put a tremendous amount of money into the toy line, the interactivity of the toys themselves was not spectacular, and accusations (by various watchdog groups) of the show being nothing more than a half-hour commercial didn’t help. Nor did Mattel’s insistence on the interactive segments that pretty much stopped the drama for a couple of minutes every episode. The watchdog groups were of particular significance, because although Captain Power and the Soldiers of the Future was seemingly a ratings and financial success, the publicity brought by some of these groups had a detrimental effect on both the creators of the show and Mattel. Newspaper articles and feature stories on CNN caused controversy, and while Goddard and his creative team fought valiantly for the dramatic core of the show, Mattel decided that the negative publicity wasn’t worth the money they were spending, and the plug was pulled on the show. A second season’s worth of scripts were already outlined and written, creating new characters and changing the direction of some of the previous regulars. While Mattel was still deciding the fate of the toy line, the writing staff had already charted new dramatic courses for the characters in the war-torn world of 2147. While Captain Power and the Soldiers of the Future wouldn’t live on to a second season, those few who fought through the mixed messages of its initial promotion and subsequent presentation found a show worth seeing, and a show worth keeping in memory. 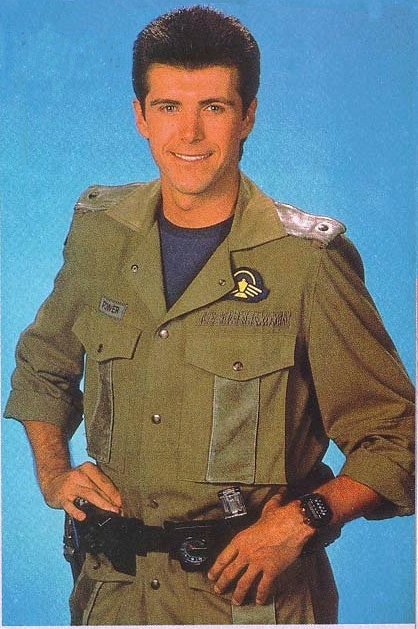 TIM DUNIGAN (Captain Jonathan Power) was the original “Face” in the pilot episode of The A-Team, a role which went to Dirk Benedict when the show went to series. 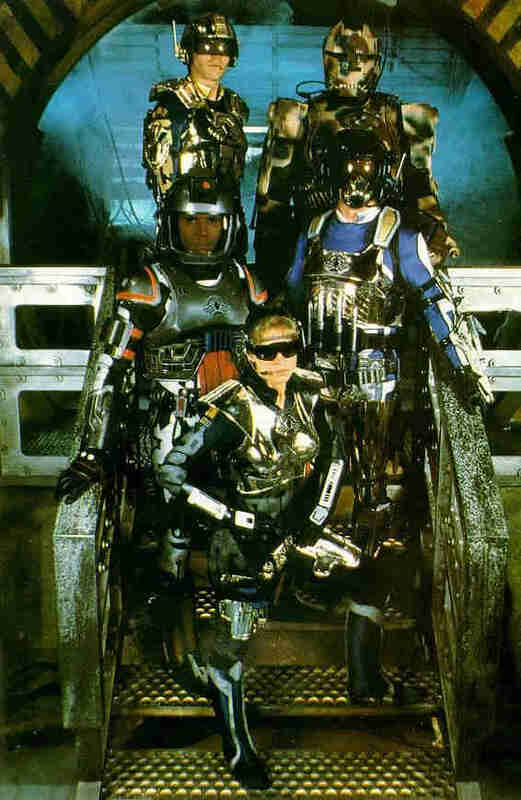 He also played Prince Blackpool on Wizards and Warriors, and Davy Crockett in a series of TV specials for Disney. He retired from acting in 2002, becoming a mortgage broker. PETER MacNEILL (Major Matthew “Hawk” Masterson) has a long history on TV and in movies, having appeared as a regular in Rin Tin Tin: K9 Cop, Queer as Folk, and Rookie Blue. A native of Canada, he’s also a frequent guest star in many Canadian series to this day. SVEN-OLE THORSEN (Lieutenant Michael “Tank” Ellis) is, at 6′ 5″ tall, a giant of a man, easily cast as a human “tank”. He’s performed in over a dozen Arnold Schwarzenegger films, and coordinated stunts in many of them as well. He speaks four languages, is a former world record holder in power lifting, and a black belt in Karate. He’s probably best known for playing Tigris of Gaul, the legendary fighter in the film Gladiator. MAURICE DEAN WINT (Sergeant Robert “Scout” Baker) has been featured in many Canadian and Canadian-based productions. He was a regular in William Shatner’s Tekwar series, and also was seen in PSI Factor, ReGenesis, and Blue Murder. His most recent work on American screens was in the SyFy series Haven. JESSICA STEEN (Corporal Jennifer “Pilot” Chase) appeared on the ABC soap opera Loving, leading to being cast as a regular in the critically acclaimed series Homefront for two seasons. She returned to SF, appearing in the ensemble cast of Earth 2, and later became a pilot in the movie Armageddon (supposedly because her role in Captain Power was remembered fondly by movie producer Jerry Bruckheimer). Recurring roles in both NCIS and Flashpoint followed, and she is currently one of the stars of the Canadian series Heartland. DAVID HEMBLEN (Lord Dread) is best known for his SF role as Jonathan Doors in the five season syndicated series Earth: Final Conflict. British by birth, he also has made recurring appearances in A Nero Wolfe Mystery and La Femme Nikita. He’s also done numerous voices for animated series, including The Silver Surfer and multiple incarnations of The X-Men. Captain Power and the Soldiers of the Future is remembered by some who have dedicated significant resources to celebrating both the adult and the child aims. Various fan-made websites note both the serious nature of the storylines and the collection of toys available. They also feature versions of the commercial video tapes made for play with the original battle toys, with a larger amount of time dedicated to the interactive portions of the series. Recent activity reported by TVShowsonDVD.com mentions documentaries currently being recorded, likely for inclusion on a DVD release of the series (and fans are cautiously optimistic on such a development at this point, although no particular studio or date has been noted). It will be interesting to see what approach the developers of the DVD release take, and whether the adult/storyline or the kid’s/toy angle is most prominent in the presentation. 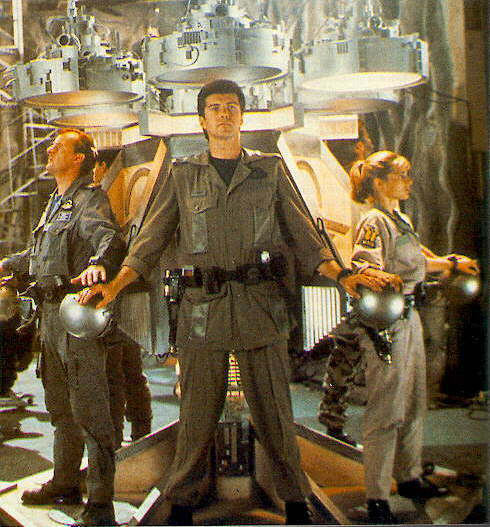 Captain Power and the Soldiers of the Future could, as shown above, easily play both parts, and that was most certainly its ultimate downfall as a series. If people can get past the names and the toys, they discover the possibilities of a terrific show… and maybe now, those who were kids twenty years ago will pick up the DVDs for nostalgic purposes and find out about the ideas that were there all the time. Perhaps Captain Power and the Soldiers of the Future needed to wait until our future arrived to find their real target audience: those who loved it when they were kids, and now can fully appreciate it when finally grown up. It didn’t take a revolutionary new toy to hit the target… it just took time. Aired at Friday 8/7 Central? No, in syndication, the local stations picked the time slot, which means in places it aired in primetime, and in others it aired Sunday mornings at 6am. It all depended on what local station managers believed was the real target audience for the show, and no matter what they believed, they were likely wrong.